Life doesn't always go according to plan. 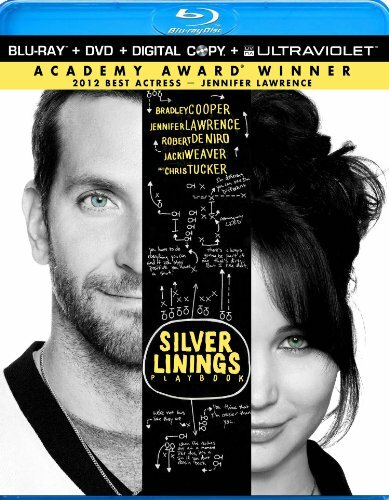 Pat Solatano (Bradley Cooper) has lost everything -- his house, his job, and his wife. He now finds himself living back with his mother (Jacki Weaver) and father (Robert DeNiro) after spending eight months is a state institution on a plea bargain. Pat is determined to rebuild his life, remain positive and reunite with his wife, despite the challenging circumstances of their separation. All Pat's parents want is for him to get back on his feet-and to share their family's obsession with the Philadelphia Eagles football team. When Pat meets Tiffany (Jennifer Lawrence), a mysterious girl with problems of her own, things get complicated. Tiffany offers to help Pat reconnect with his wife, but only if he'll do something very important for her in return. As their deal plays out, an unexpected bond begins to form between them, and silver linings appear in both of their lives.